As the government shutdown continues into its fifth week, the threat of delaying Food and Drug Administration approvals of lifesaving drugs and mental health treatments is causing alarm within the industry. According to the FDA chief Dr. Scott Gottlieb, the agency is at risk of running out of funding next month if the budget issues do not get resolved. The FDA has been able to keep its doors open due to the majority of their funding which comes from fees the industry pays to review drug applications. However, the company is not accepting new applications or funds until after the shutdown. This will force the agency to stretch its self-thin with the remaining funding to last another month before it has to delay applications. This poses a huge obstacle and threat to the big drug making companies, more importantly, those that are already struggling financially and pushing to invent and launch their new medications. Experts say the delays wouldn’t just hurt companies with pending applications but also those who are waiting to apply once the government shut down concludes. “Delays will start impacting balance sheets as the potential for revenue gets pushed back further and further, but the costs continue,” said Brian Skorney, a senior analyst at Robert W. Baird who covers biotech. As stated in the new reports, typically the applications take several months to review, and the FDA is expecting ten new drug makers applications to be decided on in March, only weeks after the agency is supposed to run out of money. For example, Johnson & Johnson is awaiting approval on its Esketimaine- a nasal spray that intends to treat major depressive disorder. Tuesday Chief Financial Officer Joseph Wolk announced that FDA meetings had been delayed however the company did not expect the shutdown to halt the approval of the drug which is said to be March 4. “We certainly hope both sides come together to reopen the government and the partial shutdown, but we’re monitoring it very closely,” he said on an interview call. One company is at the head of the FDA’s struggle, Aimmune Therapeutics, a California-based biotech company that develops treatments for food allergies. The company applied and paid the federal fee to review its newly found experimental immunotherapy for peanut allergies just a day before the shutdown began 32 days ago. The company claims in a recent regulatory filing that the FDA will not proceed with the review for its treatment until the “shutdown and lapse in appropriations” concludes. The Senior biotech analyst at Mizuho Securities, Salim Syed told reporters that none of the companies that have pending applications have admitted to any delays. Although, he said the groups he spoke with have little information and appear to be left in the dark until an agreement is reached in the house. Regardless of the shutdown and implications, the FDA announced it is still working on applications, and multiple drug makers have received approvals during the shutdown. 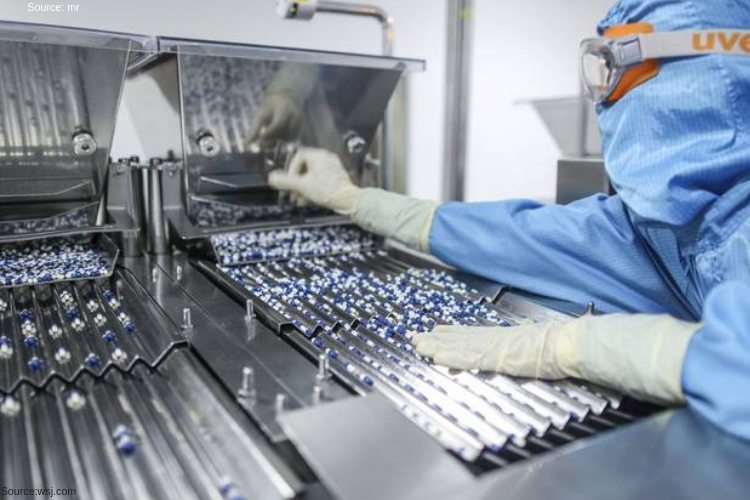 One California biotech company, Exelixis, was approved on its Cabometyx a drug to treat liver cancer just last week, along with Abbott Laboratories approval for a device to treat heart defects. However, despite the few approvals, Mizuho Securities’ Syed believes the shutdown could take some time before its full impact is known. He added, “It’s going to create a backlog, and we may not know now what that backlog looks like.” The FDA will continue to monitor pending transactions and urges companies to keep a close eye on any submitted applications and reviews.